"Improving the productivity and sustainability of agriculture in Africa is one of the pressing challenges of the 21st century. Bluffstone and Köhlin have assembled an authoritative volume of readings on this topic from some of the leading global experts. 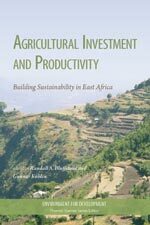 The book is essential reading for anyone interested in the complex problem of agricultural development in Africa." Randall Bluffstone is Professor of Economics and Chair of the Department of Economics at Portland State University. Gunnar Köhlin is Associate Professor with the Environmental Economics Unit in the Department of Economics at University of Gothenburg and Director of the Environment for Development Initiative. 6. Fertilizer Use by Smallholder Households in Northern Ethiopia: Does Risk Aversion Matter?